You have arrived at your move-in ready home! 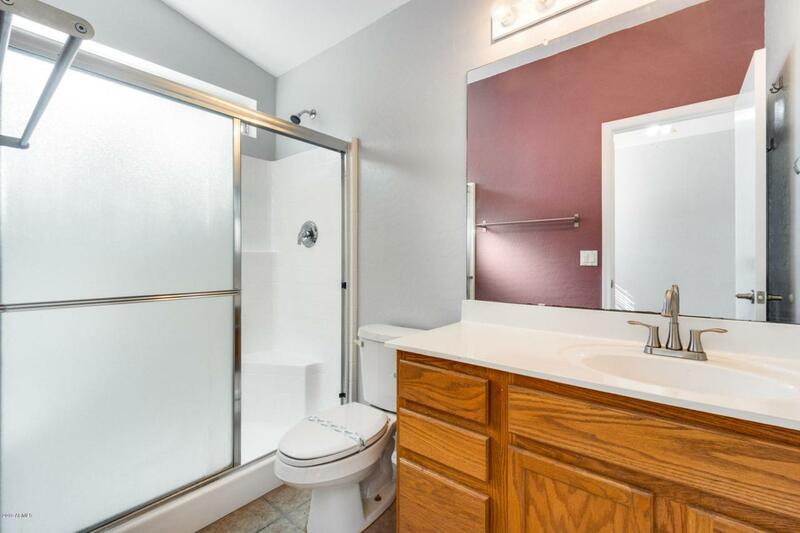 3 bed, 2 bath with a spacious floor plan. 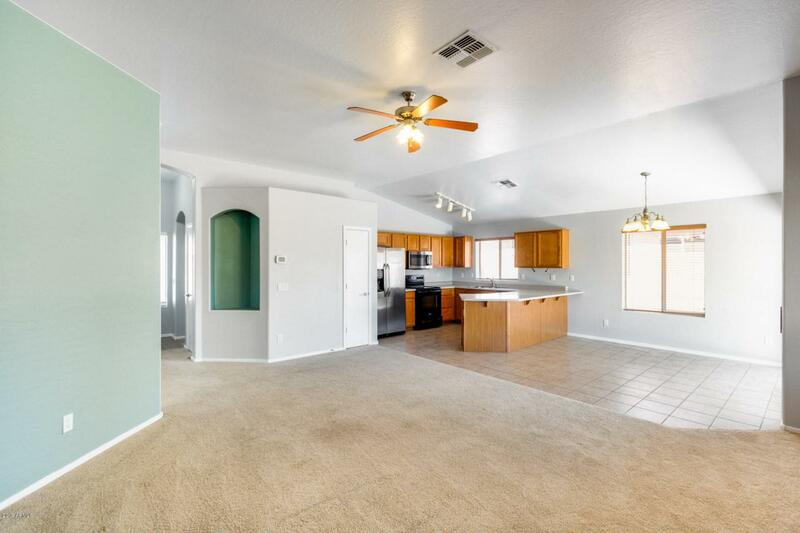 The vaulted ceilings enhance the living space and creates a welcoming environment. 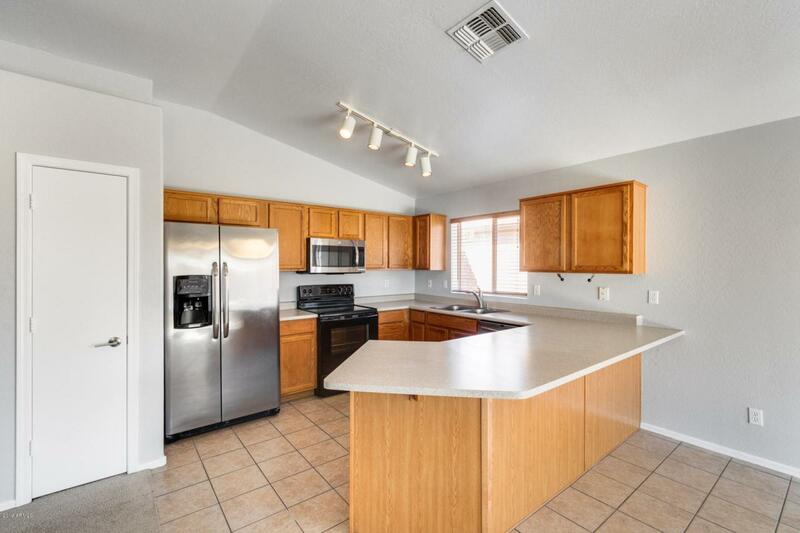 Your kitchen has beautifully upgraded countertops featuring a large breakfast bar allowing you to converse easily with your guests! The wood cabinets provide excellent storage space- you will have room for everything. The living room basks in excellent natural lighting. Out back, you will love to relax under the covered patio and soak up the Arizona weather! Don't wait. 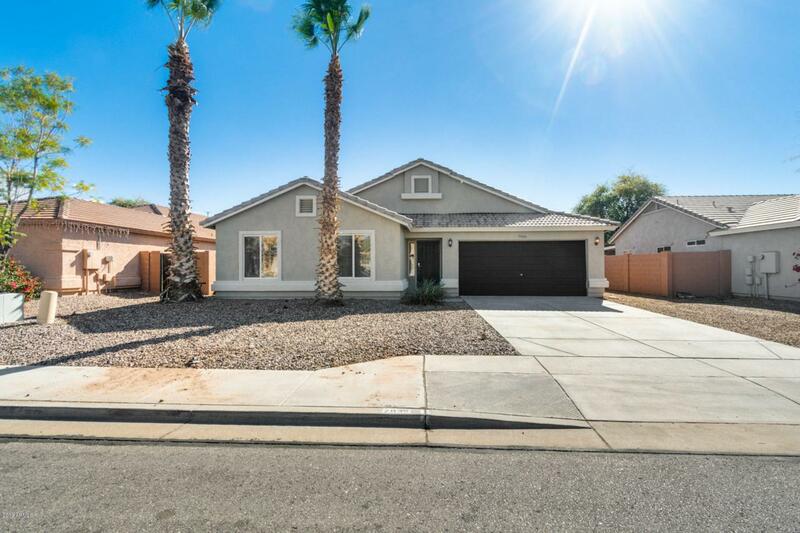 Put this property on your showings list!